Small and Medium Businesses are pillars of the French economy in the same way that Gastronomy is a pillar of French culture. 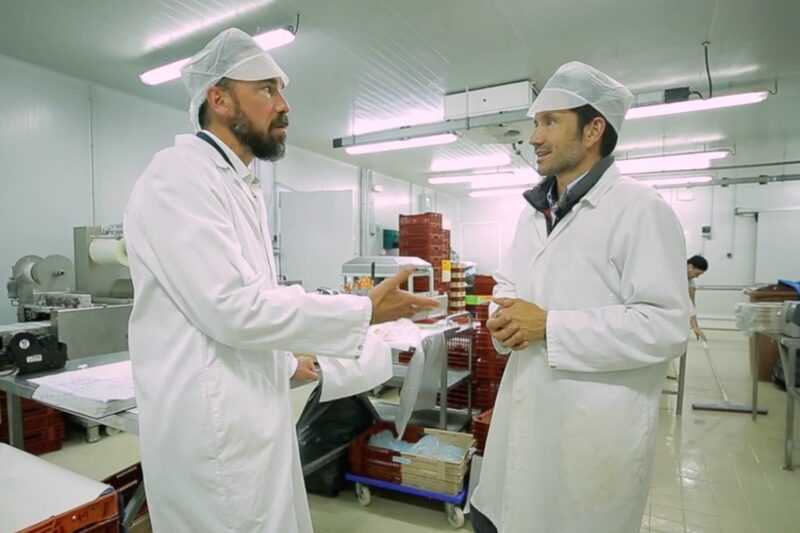 Noel Eyres, inhouse reporter and presenter of the Next Stop series, spoke to a small family business producing poultry-based fine foods in the South West of France. He learnt that simplification is the name of the game when it comes to providing SMEs in this country the insurance tools and services they need. France’s economy is now the seventh largest in the world. Despite being overtaken by India this summer, growth is slow but constant as it gradually recovers from the 2008 crisis. 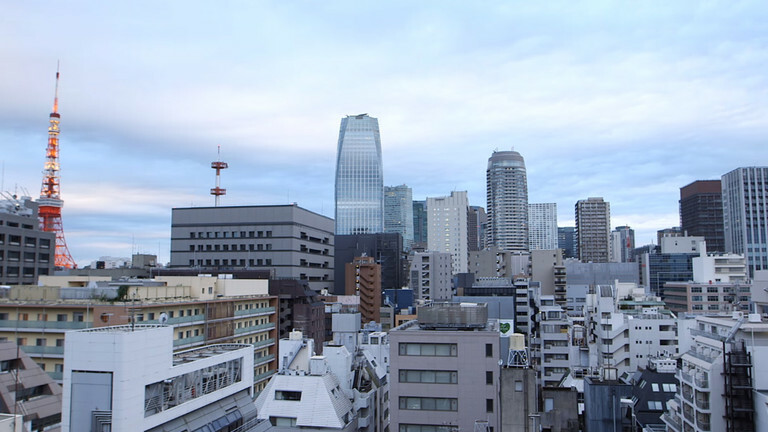 The bulk of its economy is its tertiary sector: services. This includes banking and insurance (you may have heard of the insurance giant AXA), but also commerce, transport and the hotel industry. Whether you look at the numbers, the share in the workforce or the added value to the French economy, these businesses are at the heart of the economic fabric of the country. For my upcoming episode of Next Stop on France, and following discussions with my colleagues from AXA France’s head office, I decided to focus on the pillar of France’s service industry: the SMEs. After all, they represent 85% of employment and 57% of value added to the economy. 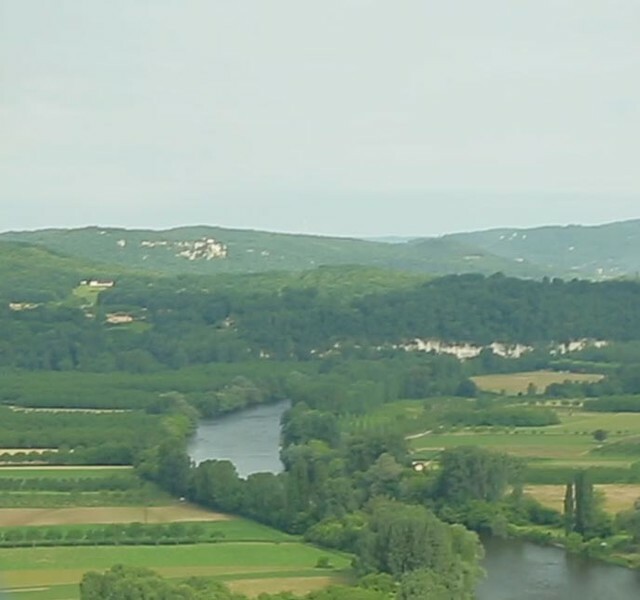 Looking around for a suitable subject and location I opted for the Périgord region in the South of France because, well because it’s beautiful, the food is great and it’s sunnier than Paris. Easy decision. 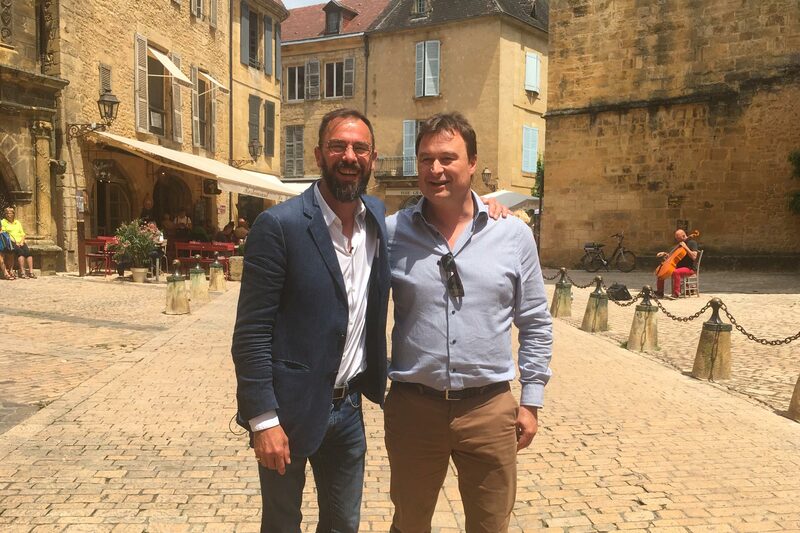 OK, the truth is, I had managed to find in Nicolas Pedelucq – one of our top agents, located in that region – the perfect fixer to scout out for a customer with all the hallmarks of a typical French SME. And if, for the sake of narrative effect (and national pride), said customer could double up as a worthy ambassador for one of the cornerstones of French culture (i.e. : food), so much the better. So Nicolas proposed that I speak to the Pélégris family. Their small business, run by siblings David and Emmanuelle, is in the same town in which Nicolas has now settled, in the Dordogne valleys, and which is a veritable Mecca to food lovers (think: truffles, Bergerac wine and foie gras amongst other mouthwatering marvels). I had spent the first day shooting my standups (when I deliver a monologue to the camera) and location shots in Paris. It poured down with rain most of the time, so I was looking forward to leaving the capital for the more clement South. And as it happens, it wasn’t just the weather that was warmer too: Southern hospitality is a French thing too. 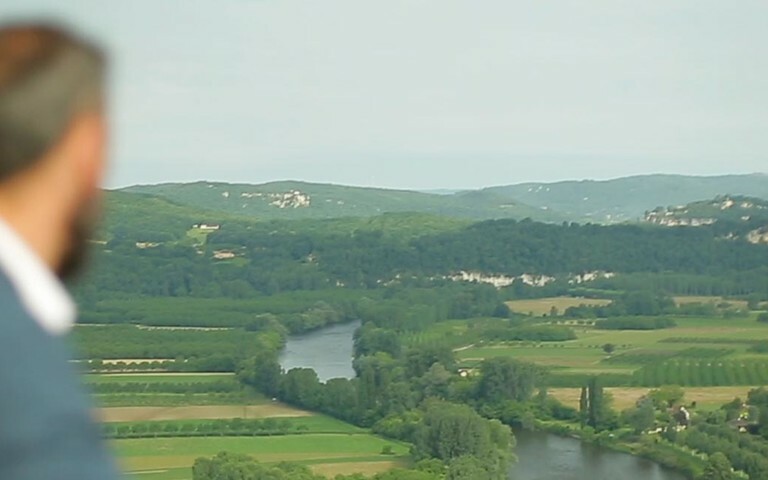 Seeing the Dordogne region by air is the perfect vantage point to appreciate its beauty. The rolling wooded hills and picturesque little villages, kissed by the soft slanted light of the setting sun beneath me as we came in to land was a delight. 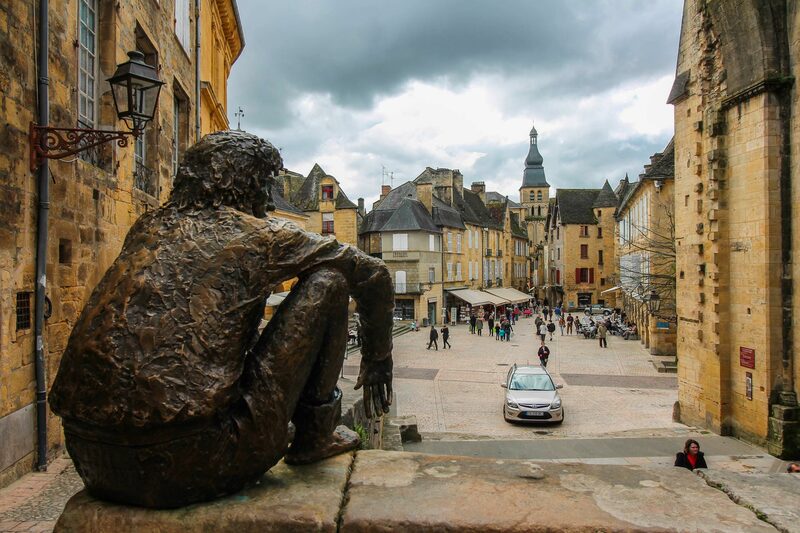 My small filming crew – Pélagie, my video director and Albin, my cameraman – and I hopped into a rental from the airport and drove to the town of Sarlat, a pristine medieval town, little changed since the 15th century, and booked into a hotel on the high street. Despite our late arrival, the reduced staff was delightful and helpful. 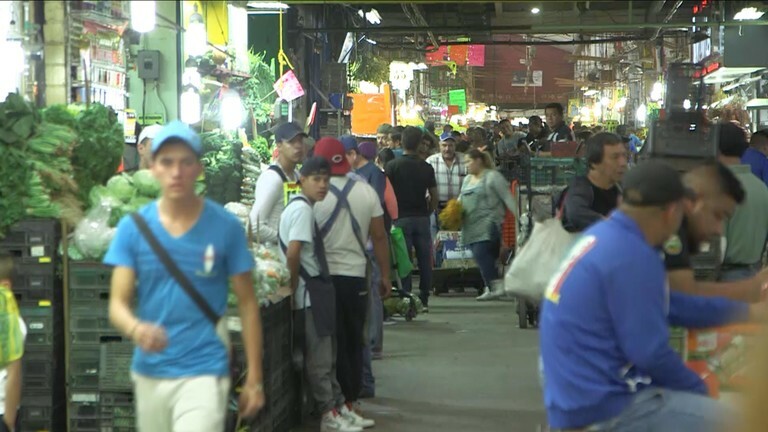 The next day, weighed down with cameras, laptop, audio gear and other filming paraphernalia, we headed to the town centre, quite fortuitously on market day, to take it all in. 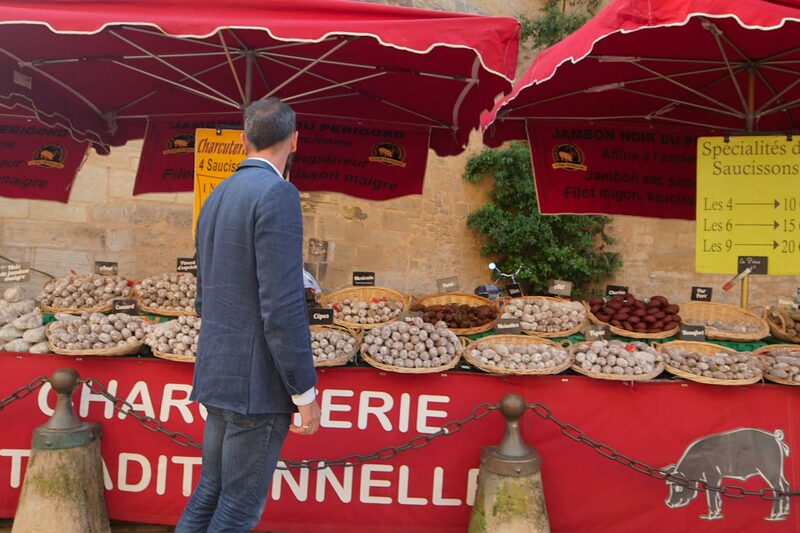 When it comes to beautiful traditional French towns, Sarlat is real eye candy, especially if you’re on a shoot. In fact, the unspoilt, medieval town has been the setting for many historical period movies over the years. Our own cinematic perambulation was regularly interrupted as we marveled at the lovely little streets and gorgeous centennial houses, or made occasional halts at the stalls offering samples of the local produce. We met our contact Nicolas at a café beside the town hall in the main square, to discuss the next two days’ filming. This was the first time we met in person and the great bear of a man gave me a hearty handshake as we sat down for an espresso. In his melodic Southern accent, and between salutations to passing friends and customers, the familiar “tutoiement” de rigueur, Nicolas explained how he was brought to the region and why he was happy to propose the Pélégris family as a prime example of an SME customer: they had known each other for many years and Nicolas, extremely available and ever present, had sold them not only their company insurance, insured their staff (+ health), but also covered their personal Property and Casualty and complementary health needs. A friendly professional relationship had been built up over the years. Those were his words, but as I met the members of the Pélégris family, they matched the facts. We were soon joined by David, one half of the family business, who was busily toing and froing around the town centre, getting things in order for the start of the summer tourist season. As one of the two biggest money-making moments of the year, the next few weeks are vital for this small business. Coffee consumed and pleasant banter with the friendly waiter exchanged, Nicolas took me across the town square to the family shop to meet David’s father and founder of the business, Claudy Pélégris. “Embracing” is probably the best word to qualify this astute, friendly man. He took me by the arm into the shop, the entrance of which bears the words “Founded in 1890” and escorted me to a calmer corner where he told me of the history of the family business. The date, he pointed out with a twinkle in his eye, refers his grandmother’s year of birth. She had sold geese on the market square, with her mother, since she was practically old enough to walk. In later years Grandmother Pélégris teamed up with her grandson Claudy to build their business together. 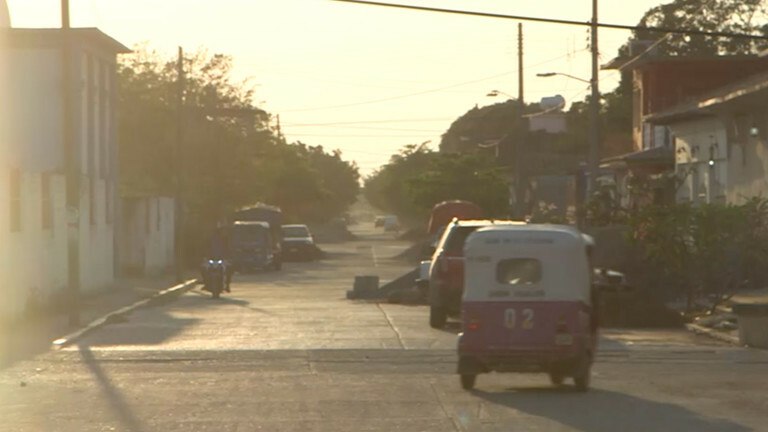 After she passed away, Claudy became the sole owner and he bought the shop we were standing in. He started proposing a wider variety of fine poultry-based goods, all locally sourced. His two children David and Emmanuelle grew up in the business and naturally joined forces with their father as adults. They then had the processing factory built out of town to ensure the quality of their produce and another shop in a nearby town. A few years ago Claudy decided it was time to retire and his offspring took over the business. At least on paper, as his daughter Emmanuelle – the second half of the business duo – tells me, Claudy does like to keep his eye on things. Old habits die hard. The business itself has a fluctuating activity, David explained, with two big seasons: summer, with the influx of tourists from France and around the world (France is the worldwide tourist N°1 destination after all, and the region welcomes up to three million visitors a year) and Christmas, when the French spend a large part of the holiday eating fine foods, with foie gras being a choice delicacy. So there’s a real need for flexibility when managing the workforce, which varies according to these peak periods. That’s Emmanuelle’s job, as the administrator. I met her in their office in the same building as the processing plant. Her tool for dealing with their insurance needs is the AXA.fr website. It’s a one-stop site, on which she can add new staff at the click of a mouse, and select the insurance for these employees, review or amend their own business’s insurance, and pretty much anything else that the company needs to be running smoothly and safely. “In a small company, you often need to be in two places at one time and with this tool I can do this when I have time and very quickly”, Emmanuelle states. Anything that falls out of the regular business needs can be dealt with ever-available Nicolas. David Pélégris and I in the pristine sanctity of the processing plant. And Nicolas has a good understanding of their needs. 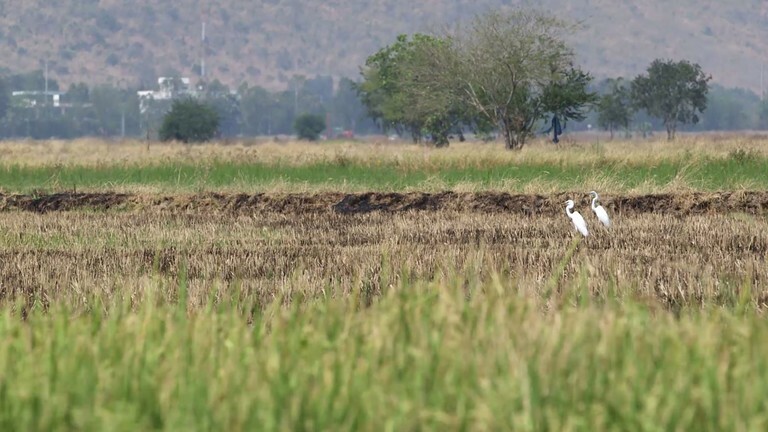 He has been following the Pélégris family for the last 15 years or so, insuring their company first: bricks, liability, employees’ healthcare, car fleet…and then their own family members and their property. 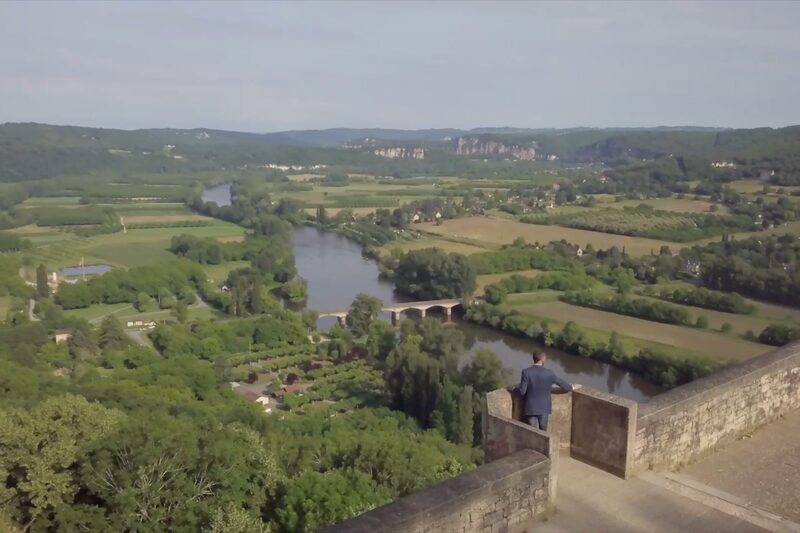 With technological changes, Nicolas explained, customers like Emmanuelle want to be able to deal with things directly, rapidly, online through the technological tools made available by AXA France. So there we have it: Simplicity of access and of use, coupled with the availability of a multi-specialist. The right combination for a small, active business. 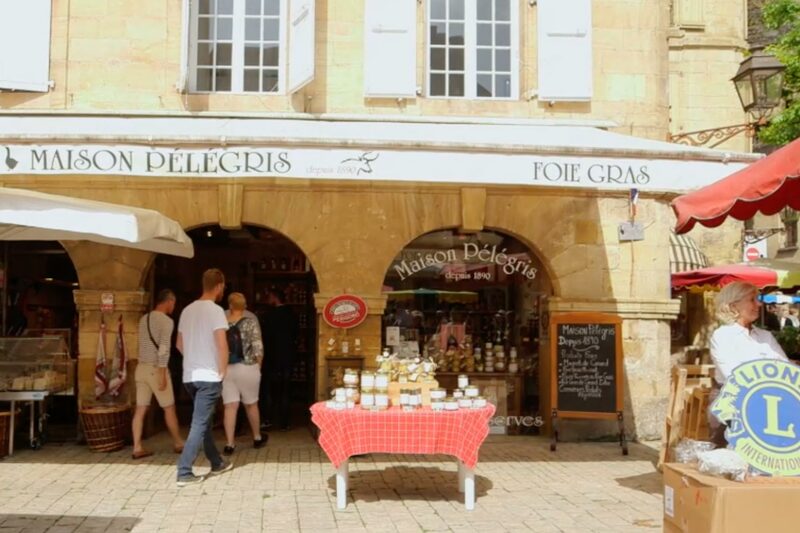 This ability for the Pélégris company, like so many other SMEs in France, to run their business successfully and continue delivering quality products – and with five generations of know-how and experience, the Pélégris business is undoubtedly a fine torch bearer of an age-old French culinary culture – can only be a good thing for the French economy. With that knowledge in mind, I could look forward to returning to Paris, putting pen to paper – with Pélagie in the cutting room (or digital equivalent) – and getting this story online. And also to sharing some delicious Périgord delicacies I brought back with me at the next family get-together.